He who gives true life to His devotees. jIvayati iti jIvah (SrI v.v. rAmAnujan). b) He who shows the path to everyone. SrI BhaTTar derives the interpretation fromthe root nay, which has teo meanings - gatau rakshaNe ca - to go or to protect.SrI BhaTTar uses the second of the two meanings. In fact he states that bhagavAnprotects His devotee-s with love and affection and treats them like princes -rAjakumAra lAlanena rakshati. SrI v.v. rAmAnujan gives the moving example ofLord rAma's words of concern to sugrIva after his first fight with vAli, wherehe was defeated and had to come back. rAma says "tvayi ki~ncit samApannekim kAryam sitayA mama" (yuddha kANDam) - "Of what use is it to me toget sItA if even the slightest harm has been caused to you?" - such was theconcern and love that he had for a mere monkey-king. We have nammAzhvAr's wordsin tiruvAimozhi - j~nAlattUDE naDandum ninRum kiDandirundum SAlap pala nALugandOr uyirgaL kAppAnE (6.9.3) - You show your standing pose, your recliningbeauty, your sitting posture on different occasions to sustain the lives ofthose who seek Your protection. SrI satyadevo vAsishTha bases hisinterpretation using the first meaning given above for nay viz. to go. Hisinterpretation is - sarvasya jagato gatim prAyayitA gater-dAtA ityarthah - Heshows the path to everyone, or gives direction to everyone. BhagavAn is the Observer within every one ofus. uLLuvAr uLLiRRellAm uDan irundu aRidi - tirumAlai 34 (SrI v.v. rAmAnujan).SrI BhaTTar's interpretation is that bhagavAn is so concerned about the welfareof His devotees that He constantly observes them to make sure no harm comes tothem. SrI Sa~nkara and others who follow hisvyAkhyAnam have interpreted nAma-s 516 and 517 together as one nAma -vinayitA_sAkshI - He who witnesses or observes the humility of His devotees. 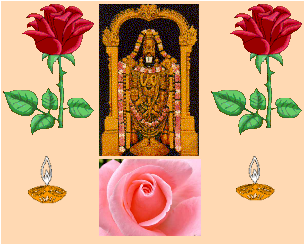 viNNulagam taruvAnAi viraiginRAn (tiruvAimozhi 10.6.3), etc. Both SrI Sa~nkara and SrI BhaTTar have givenreference to the pANini sUtra 6.3.109 - pr*shodarAdIni yathopadishTam to supportthe derivation of the word mukunda from muktim dadAti - "The elision,augment and mutation of letters to be seen in pr*shodara etc., while not foundtaught in treatises of grammar, are valid, to that extent and in the mode, astaught by the sages". a) He of boundless valor. b) He of the three great strides (tri-vikrama). SrI BhaTTar's vyAkhyAnam is that bhagavAn isthe Supporter of all Realities such as prakr*ti. He is known by the name AdhAraSakti - AdhAra Sakti samj~nasya amUrtasya ca vai vibhoh (SrI paushkara). SrI V.N. vedAnta deSikan's English translation of of the vyAkhyAnam for this nAma bySrI M. V. rAmAnujAcArya is "The Lord is of inestimable capacity tobear". amitam vikramaNam Sauryam asya iti amita-vikramah. ., which is translated by SrI tirukkaLLam nr*simharAghavAcAryasvAmi as immeasurable parAkramam, which stands for heroism, prowess, courage,valor. The second interpretation SrI Sa~nkara givesfor the nAma is based on the meaning "stride, step, pace" for vikramah,or vikramaNa - amitA aparicchinnA vikramAstrayah pAdavikshepA asya - He whosethree strides, or steps, were immeasurable. The reference here is to the tri-vikramaincarnation. The Lord's steps were so vast, they were indeed immeasurable. The root kram - pAdavikshepe - to walk, tostep, is the basis for the derivation of the interpretation by SrI satyadevovAsishTha, which is the same basis on which SrI Sa~nkara's second interpretationabove rests. However SrI vAsishTha interprets the nAma as meaning that bhagavAnhas innumerable or countless strides in His manifestations. This diversity orextensive manifestation is also reflected in everything around us - the Earth,the sky, and the region in between; rajas, tamas and sattva guNa-s; sun rise,mid-day, and the sunset; etc. SrI BhaTTar interprets the nAma-s 520 to 528which follow in terms of the kUrmAvatara. Unto Him of unlimited power and strength Who supports the worlds in the form ofa Tortoise. "tAni vA etAni catvAryambhAsi | devo manushyAh pitaro'surAh ||". Thus the nAma can be interpreted to mean that bhagavAn is the abode or restingplace of all the ambhA-s. The dharma cakram writer points out that while theseambhA-s are the ones who control the rest of the life forms, bhagavAn controlsthe ambhA-s, and thus He controls everything. BhagavAn also supports the lifeforms as kUrma mUrti when everything gets submerged under the water duringpralaya. Thus, this nAma signifies that bhagavAn is the Support of all lifeforms at all times. SrI satyadevo vAsishTha interprets the nAma asmeaning that bhagavAn establishes (nidhAnam) water in various forms and withvarious attributes and sustains life - the blood stream running in several lifeforms, the water that seeps through the root from the earth to sustain the treesand other plant forms, etc. Water is one of the essentials in sustenance oflife. He gives the quote from atharva veda - apAm retAmsi jinvati. The Inner Soul of ananta. SrI BhaTTar interprets the nAma as referringto bhagavAn being the Inner Soul of ananta, who bears the Universe standing ontop of the kUrma. SrI Sa~nkara's interpretation is that bhagavAnis the Indefinable Soul (AtmA), not limited by Time, Space, or Substance (ananta).SrI rAdhAkr*shNa SAstri elaborates on this further by observing that for allobjects in this Universe, if they are in one place they can't be in anotherplace, and if they are in one form they can't be in another form at the sametime. BhagavAn is not subject to these constraints, signified by the nAmaanantAtmA. He Who is reclining in the vast ocean. The words comprising the nAma are mahA, udadhi,and Sayah. SrI BhaTTar's vyAkhyAnam is that BhagavAn lies on the couch-likeserpent-body of ananta in the Milk-Ocean at the time of the final deluge. Thisis expressed by periAzhvAr in periAzhvAr tirumozhi 5.1.7 - veLLai veLLattin mEloru pAmbai meddaiyAga virittu adan mElE kaLLa nittirai koLginRa mArgam kANa, andby nammAzhvAr in tiruvAimozhi 3.4.9 - acyutanai anantan mEl naNNi nanguuRaiginRAnai (SrI v.v. rAmAnujan). SrI Sa~nkara gives the interpretation thatduring pralaya bhagavAn disintegrates everything and reduces them all into oneocean and reclines in those primeval waters. SrI cinmayAnanda suggests that the nAma canalso be interpreted as referring to bhagavAn reclining on a fig-leaf on thewaters after the deluge (Alilai mEl paLLI koNDAn). He Who beings out the end of all. "From His mouths, at the end of the kalpa, proceeds the venomed fire that,impersonated as rudra, who is one with balarAma, devours the three worlds"(vishNu purANam 2.5.19). oDu~nga ninRa Azhi am-paLLiyAr - tiruvAimozhi 2.2.6. SrI cinmayAnanda adds that as Time He brings an end to all things thus creating constant changes in this world, without which no evolution or creative development is ever possible, and in this sense bhagavAn is the antakah.